I am pleased to provide my first guest post by Jack Maes of DCFC. Jack, if you ever watch him on the strip might be clinically insane, simply because he gets more psyched up and happy than just about any fencer. 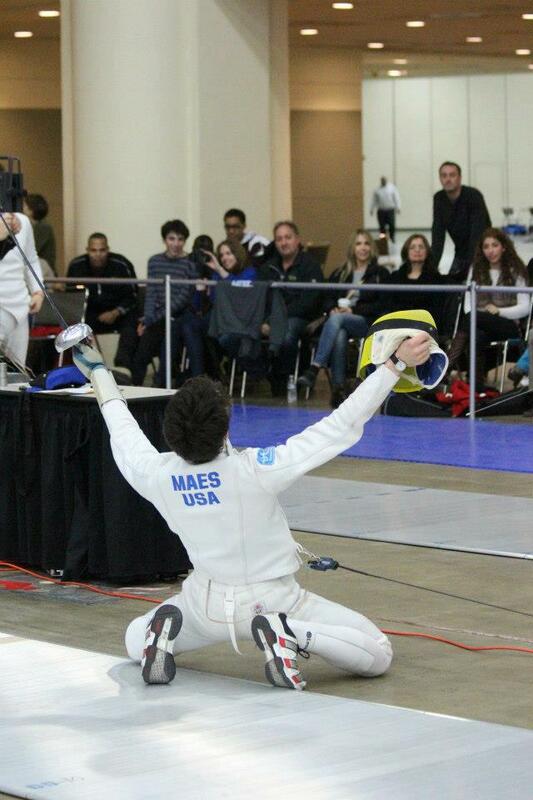 Some fencers take the sport seriously, but Jack just seems to have fun with it. I think he provides some valuable insight here. Enjoy reading Jack’s post as much as I did. Fencers. You’ve seen them yell, you’ve seen them scream, you’ve seen them frown, you’ve seen them cry, hell, maybe you’ve even seen them bark. But think about it, how often to you see them smile? Oddly enough, as this sport has gained more acclaim, it has lost a key ingredient in the mix: pure happiness! Honestly, watching the Olympics this year, I only enjoyed one bout, and that was the Men’s epee individual fence-off for bronze. Jung faced off against Kelsey, and in overtime, Jung took the final touch. He didn’t frown seriously with a howl and a scowl; he didn’t become overwhelmed because he had lost his shot at gold. No, this man fell to the ground, flopped his feet out, and then jumped up, dropped his mask, and made at least three laps around the strip, smiling, taking it all in. He was loving it, the crowds, the cheering, the feel of his lame on his person and the arms of his coach around him as he won an Olympic medal for the sport he loves so dearly. Sadly, you don’t see that much anymore, and this baffles me! Mariel Zagunis, results aside, made me a little miffed simply because she hardly smiled this time around. It’s not a hard thing to do, loving your sport with all you’ve got. Thanks for reading. I appreciate your support!